If your child is complaining of an inability to swallow food, this should be considered a medical emergency, as it increases the chances of them choking while eating and it may worsen to the point where the child is unable to breathe. Swallowing trouble results any time a child is unable to move food down their throat so it can enter their stomachs for digestion. The technical term for this problem is dysphagia, and it is considered a symptom as opposed to an actual medical condition. There is a variety of things that can cause swallowing difficulty, and for children it will often consist of objects in the throat, as well as food which has become trapped or swelling within the esophagus. If the tongue becomes swollen, this too can lead to swallowing problems. Research shows that there are at least 50 muscles and nerves which are involved in the swallowing process. This means that there are many things that can go wrong and it can be challenging for doctors to determine a diagnosis. 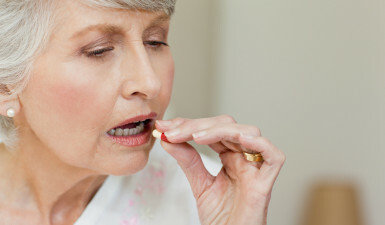 What are the symptoms of swallowing trouble? If your child is experiencing a difficulty swallowing, they should be taken to Dr. Samadi where he can examine and evaluate their condition. He will ask you about the symptoms and when they started, and he will also inspect the child’s tonsils to determine if there is swelling or other abnormalities. If this is insufficient, he will performed specialized tests such as barium X-rays which is used to analyze the esophagus for blockages or other problems. Prior to the exam, the child must swallow a pill which contains a dye that will highlight their esophagus on the X-ray image. Dr. Samadi will then assess the images in order to determine how the muscles of the child’s throat are functioning. This will make it easier for him to detect the problems which are interfering with their ability to swallow. He may also perform an endoscopy, which consists of inserting a tube with a camera attached to it inside the esophagus. How is swallowing trouble treated? Swallowing trouble treatment will often happen on its own, without having to take the child to a doctor. However, parents should watch the child carefully, and if the symptoms worsen, they should seek medical assistance promptly. Swallowing problems can become life threatening if they result in the child being malnourished or dehydrated. It can also lead to various respiratory infections and pneumonia. If the esophagus is abnormally tight, the doctors at ENT for Children can perform a technique called an esophageal dilation, which involves expanding the esophagus by placing a miniature balloon within the esophagus to stretch it. Once this is done, the balloon is removed. Surgery may also be used to remove any abnormal growths which are present in the throat. Contact us for more details.